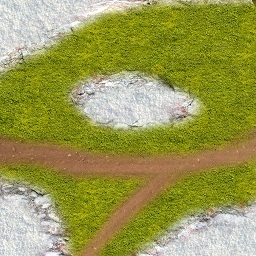 Okay, now we have our terrain but it does not have any textures on it. 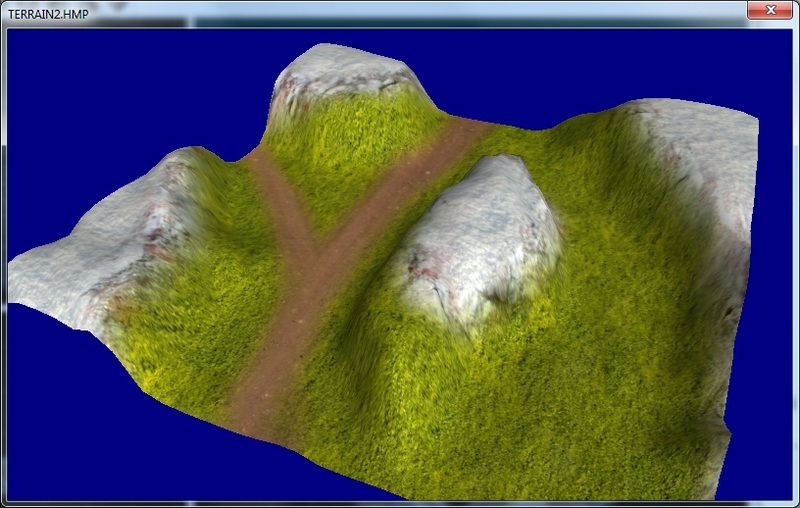 It is pretty much same with texturing models, except we do not have to create UV layouts for terrains. Since terrain vertices always formed like a grid, it's UV coordinates are ready. But this comes with some limitations. F.i. you cannot assign diffrent skins to diffrent parts of the terrain. We already created and assigned skins to our models on basic modelling tutorial. It is not diffrent for terrains. To remind you about this quickly, take a look at the screenshot below. Congrats! 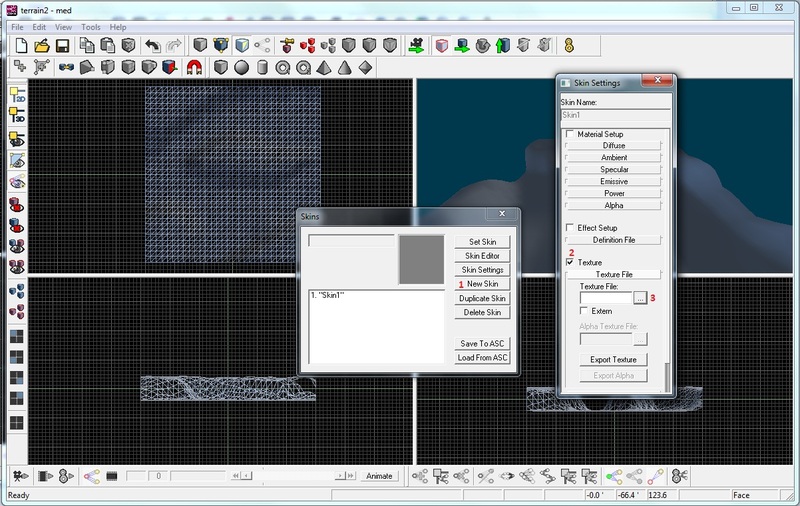 You made your first terrain! It may not look very good on your first tries but with practice you will get better.